Expected cost posting to GL is a beautiful functionality available in the Microsoft Dynamics NAV, But it seems many people have not understand this functionality well enough. Expected cost is an estimation that you would have before you get the final invoice from your vendor. This functionality allows you to have a interim accrual for the purchase before you get the actual invoice to your hand to update the G/L with the actual cost. Microsoft Dynamics NAV will only update the inventory at the time of receiving the purchase order and will NOT post any entries to G/L accounts. While updating the inventory, Dynamics NAV will post entries to Value Entry table. If you navigate to the receipt document and check the related entries, you will find there are no G/L entries attached to the document. Once you post the Purchase Invoice with the actual cost (Cost changes to USD 120), Dynamics NAV will post entries to the G/L and Value Entry with the related cost. With the Expected Cost Posting set to Yes in the Inventory Setup, Microsoft Dynamics NAV will post entries to G/L at the time of receiving the order. Where earlier case it only update the inventory of the system. At the time of posting the purchase invoice, Microsoft Dynamics NAV will reverse the expected cost posted entries from the G/L and post the new entries to G/L with the actual cost. To achieve above scenario you need to select the Automatic Cost Posting check box and the Expected Cost Posting to G/L check box in the Inventory Setup window. If you want to check the build of RTC and Development environment please refer below articles. 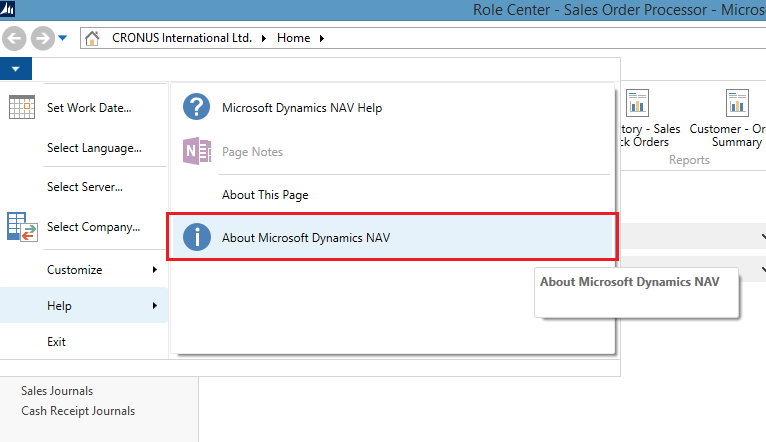 To check the service build, open the Microsoft Dynamics NAV 2015 Administration and Select the instance. In the right side view you can see the service build. If you have different build for the development environment, client environment and service tier you might get into some problems, mainly when you try to save and compile tables. 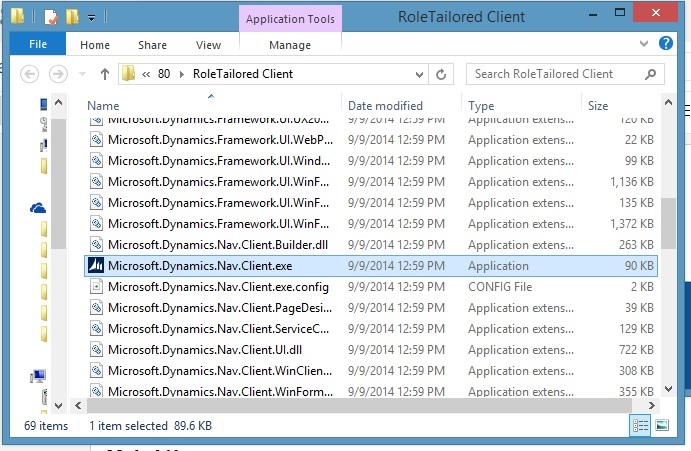 I have already posted a post on how to check the build of RTC client and Service Tier. 03. 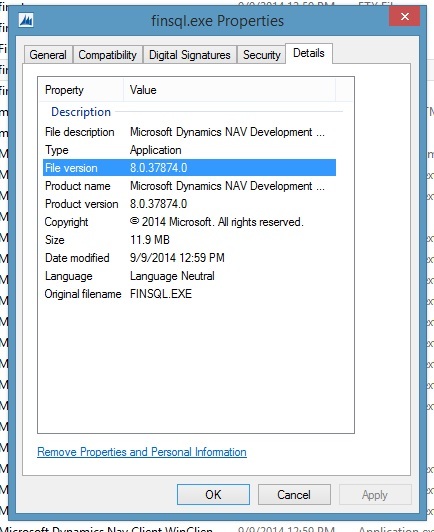 Click on the "About Microsoft Dynamics NAV Development Environment"
04. In the second line of the screen you can see the Development environment build. If you want to check the build of Service Tier and Development environment please refer below articles. 03. In the third line you can see the build of the RTC client of Microsoft Dynamics NAV. Default reports of Microsoft Dynamics NAV will save the request page values and allow the user to modify them in the next run of the report. However when a developer develop a new report it will not save the last run value of the request page. I saw few threads in the Dynamics NAV community forum regarding this. This is how you modify the report to save the request page values. + Open the report in the developer environment and go to Request page. 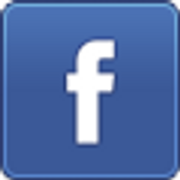 + Go to the properties of the request page. 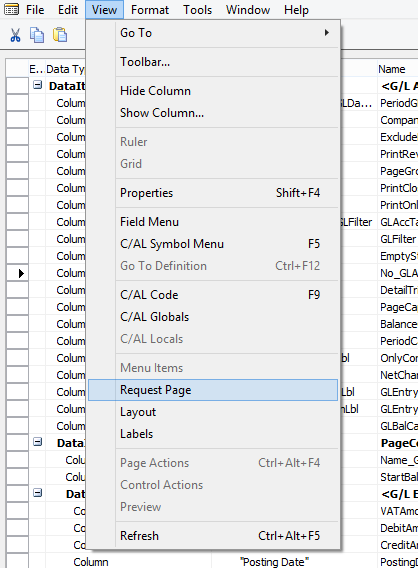 In order to do that Click on the last line of the Request Page and click on the properties icon in the toolbar or press Shift +F4. 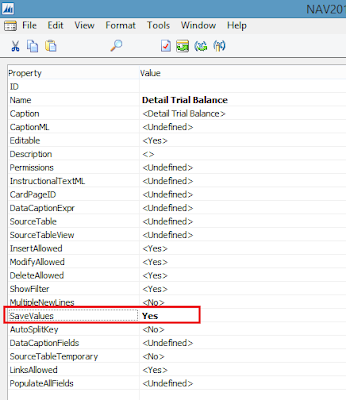 + Set the Save Value Property to YES. + Compile and Save the report. Thats it you are ready to go and hope this would help you and your clients in future. If you are planing to upgrade your current Microsoft Dynamics NAV version to Microsoft Dynamics NAV 2013 R2 or to NAV 2015, refer the article posted by Microsoft Dynamics NAV team. It will provide you best practices, tips and tricks for the upgrade. When you follow a guide and best practices you can always avoid mistakes that can be happen and also save lot of your valuable time. Click here to view the blog post from Microsoft Dynamics NAV team. Cumulative Update 20 includes all application and platform hotfixes and regulatory features that have been released for Microsoft Dynamics NAV 2013 R2. 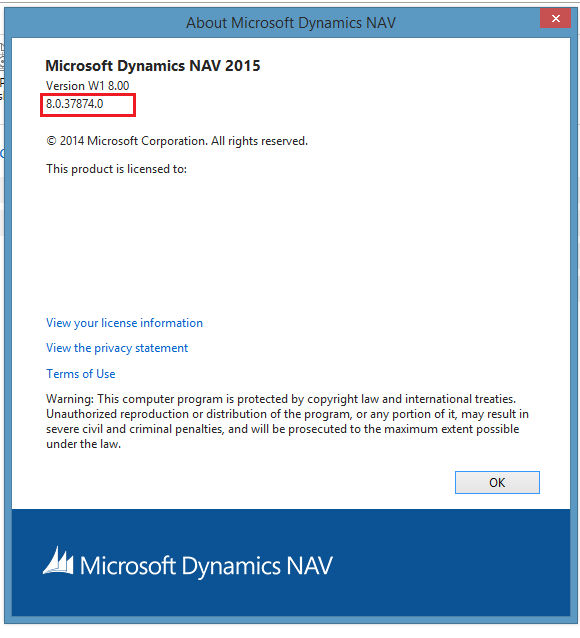 You can download the cumulative update from KB 3069271 – Cumulative Update 20 for Microsoft Dynamics NAV 2013 R2 (Build 41371). For more information about cumulative updates for this version, see Announcement of update rollups for Microsoft Dynamics NAV 2013 R2. For a list of all cumulative updates for this version, see Released Cumulative Updates for Microsoft Dynamics NAV 2013 R2. 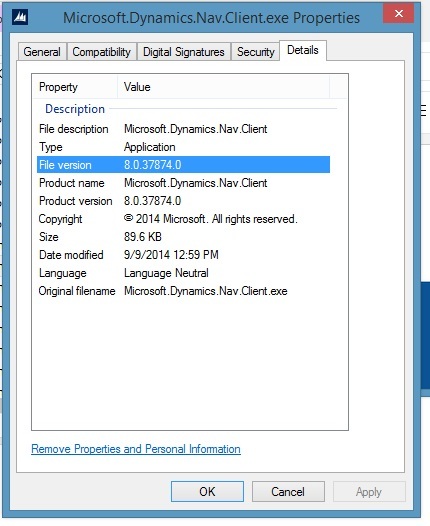 Cumulative Update 8 includes all application and platform hotfixes and regulatory features that have been released for Microsoft Dynamics NAV 2015. Note: You must convert the database if you are upgrading to this cumulative update from a cumulative update earlier than Cumulative Update 4 (build 39663). For more information, see Converting a Database in Help for Microsoft Dynamics NAV. 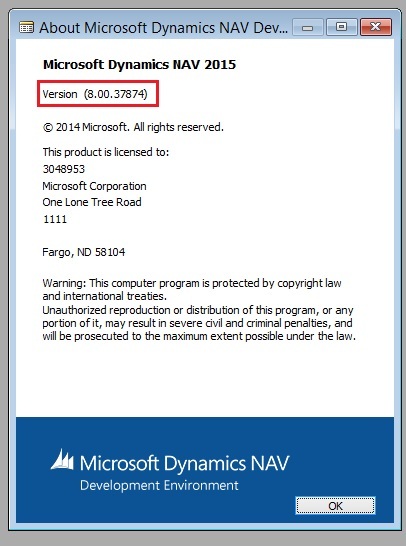 You can download the cumulative update from KB 3069272 – Cumulative Update 8 for Microsoft Dynamics NAV 2015 (Build 41370). Cumulative Update 27 includes all application and platform hotfixes and regulatory features that have been released for Microsoft Dynamics NAV 2013. You can download the cumulative update from KB 3069230 - Cumulative Update 27 for Microsoft Dynamics NAV 2013 (Build 41354). You need to write a very small code to achieve this. warning : Once you execute below code, you might have to manually restart the computer, so think twice before executing. Seacret of this remains in the last line of the code. That means loop will get executed as long as condition output value is false, and as the condition gets true, compiler will jump out of the loop and execute the rest of the code. If we provide a condition which will never going to get true, then this will turn into a infinite loop and will result in using all the resource available in the computer. This is a very small fact and just wanted to share, since it is bit interesting. How to change the current value of an auto increment field? Is it possible without dropping the table? Yes it is possible. Following is the syntax of the DBCC CHECKIDENT command. table_nameIs the name of the table for which to check the current identity value. 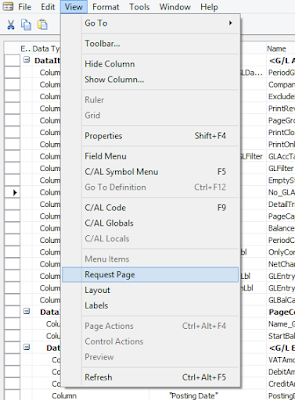 The table specified must contain an identity column. Table names must comply with the rules foridentifiers.NORESEEDSpecifies that the current identity value should not be changed.RESEEDSpecifies that the current identity value should be changed.new_reseed_valueIs the new value to use as the current value of the identity column.WITH NO_INFOMSGSSuppresses all informational messages. By executing the above code you will reset the auto increment number to 0, therefore next number will be 1. That means the number you setting + 1. Caller must own the table OR member of sysadmin, db_owner or db_ddladmin fixed database role groups.